Tori Allen PR is so excited to announce MADabolic, Inc. will open its first Georgia fitness studio this June in Old Fourth Ward! Owner Abby Closs fell in love with the concept and is excited to introduce it to Atlanta’s fitness market. Check out the official press release below. One of the fastest growing fitness concepts, MADabolic Inc., is primed to open its first Georgia location here in Atlanta at the end of June. The new fitness studio will open in Old Fourth Ward in the second phase of StudioPlex located at 661 Auburn Avenue with about 3,700 square feet of studio space. 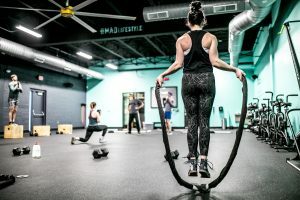 This is the first location of MADabolic to open in the state of Georgia, and is owned by franchisee Abby Closs, who recently left her Sales career at KIND Snacks to pursue her dream of owning a business that incorporates her lifelong passion for fitness. Closs and her husband recently relocated to Atlanta, and upon arrival knew they wanted to set down roots with their family, including their 1-year old daughter. 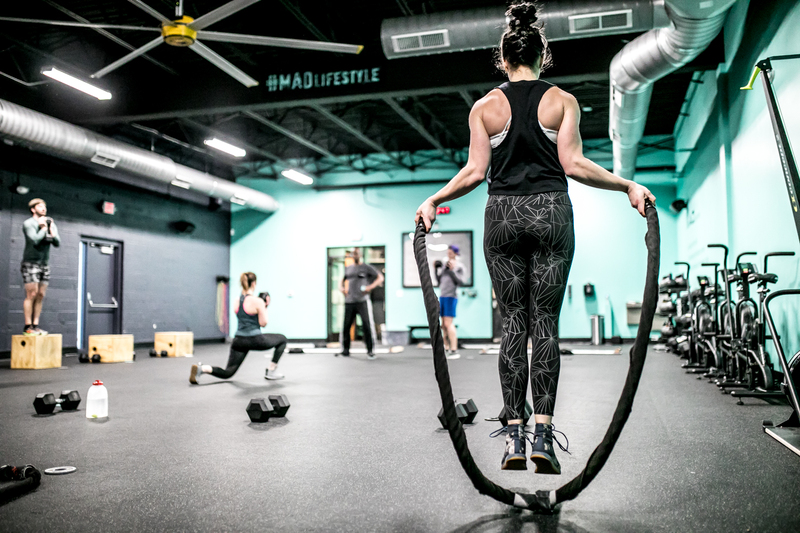 MADabolic launched in 2011 in Charlotte, and is best known for its small group fitness classes that focus on “work to rest” style interval training that combines conditioning with strength, completely scalable for clients of all fitness levels. Clients won’t find any barbells at this gym, but will get stronger and more powerful with use of kettlebells, dumbbells, med-balls, boxing and more. To set itself apart even further from similar workout styles, MADabolic highlights a full year of suggested workout schedules catered to improvement instead of “workout of the day” or rotated workouts. Each workout is focused around MADabolic’s three core parts of the interval system – Momentum, Anaerobic and Durability (MAD). Workouts can include movements like kettlebell swings, box jumps, rowing, dumbbell snatches and beyond, providing an intense 50 minute workout for everyday strength and athleticism. New clients will learn more about MADabolic through its special $10 for 10 days promotion for all new members, allowing them to get a real feel for the workouts and the MADabolic lifestyle. From there packages begin at $179 for monthly unlimited packages $25 per drop-in class, along with other packages to be finalized soon. MADabolic is set to open late June 2018 for full classes and plans to offer open house style events throughout the month leading to grand opening. For more information on the concept, please visit www.Madabolic.com and follow the Atlanta store’s progress on Instagram at @MAD_Atlanta. First launched in 2011 in Charlotte, MADabolic has now grown to more than 10 locations across the United States and Canada. The fitness style incorporates its three core parts of the interval system including Momentum, Anaerobic and Durability (MAD) for a total body workout focused on conditioning and strength, without the use of a barbell. For more information, visit www.Madabolic.com.